A couple of days ago a friend indicated that Drums Along the Mohawk was "the first time [she] saw Claudette Colbert in a movie." If her recollection is correct she has missed some pretty good films, including It Happened One Night, Best Picture and both the Best Actor and Best Actress Oscars for 1934, The Palm Beach Story, a 1942 Preston Sturges film, and Since You Went Away, a rather sentimental 1944 World War II home front story with a teenage Shirley Temple that I showed my freshmen every year culminating the unit on the home front. She had a long career and did a lot of television from the fifties to the eighties. Claudette Colbert and Clark Gable make a potent combination in so far as their power to draw crowds into the theatre is concerned. 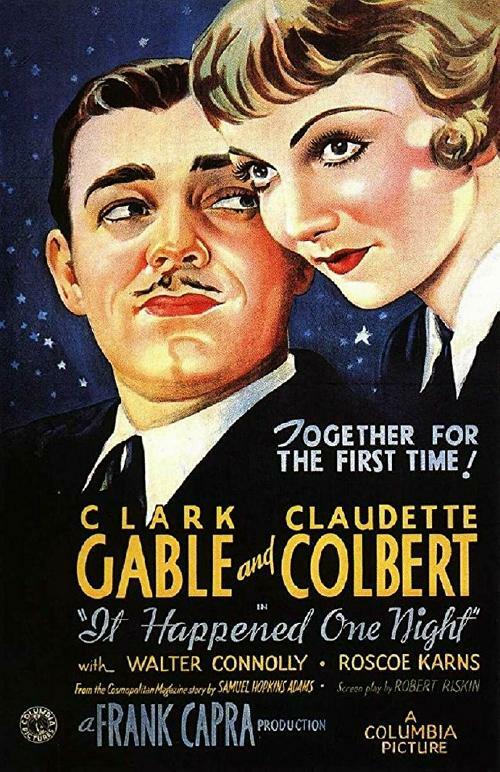 The first showing of It Happened One Night, in which they appeared together for the first time, was greeted by a full house early yesterday morning at the Music Hall, while a long queue waited outside to get in. Claudette plays the role of Ellie Andrews, the old child of the very rich Alexander Andrews. She leaves her father and his luxurious yacht flat at Palm Beach in order to escape, via a New York bound bus, to her newly acquired husband, who had flown to New York immediately after the ceremony rather than face old man Andrews' rage. 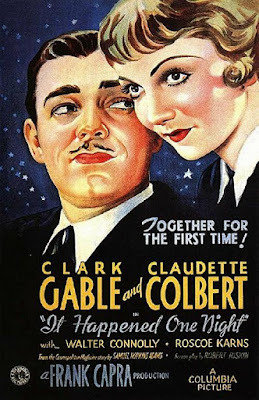 Eighty years after being made, It Happened One Night remains a mirror and a measuring stick—not only for all subsequent romantic comedies, but also (perhaps more significantly) for all lovers who came after Peter and Ellie and dream of a similar union of bodies, wits and fates.